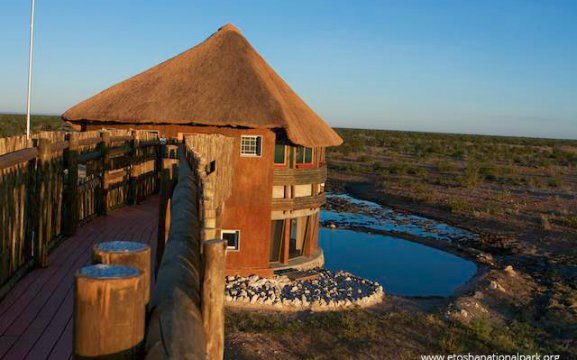 The Olifantsrus Camp is located on the western part of the Etosha National Park, it is the newest camp at the park. 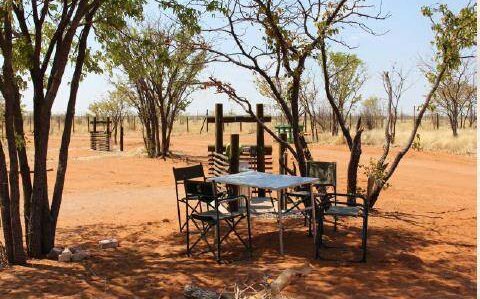 It only offers 10 camping facilities with communal kitchen, a 2 plate stove and a fridge. 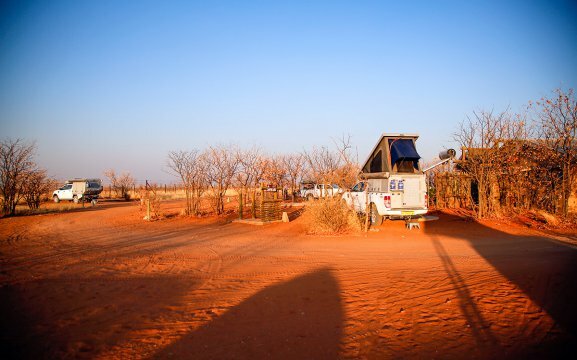 Ablution blocks are provided with toilets and showers that accommodate male and female campers. There are flat bases to make fire for braai. 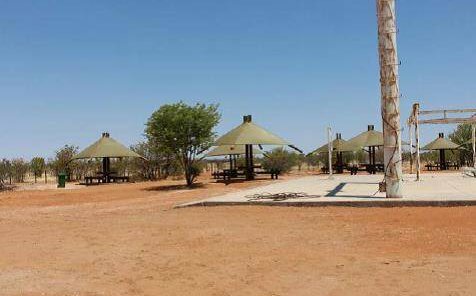 Visitors can use Olifantsrus for lunch and an overnight stopover between Okaukuejo Rest Camp and Dolomite Camp. 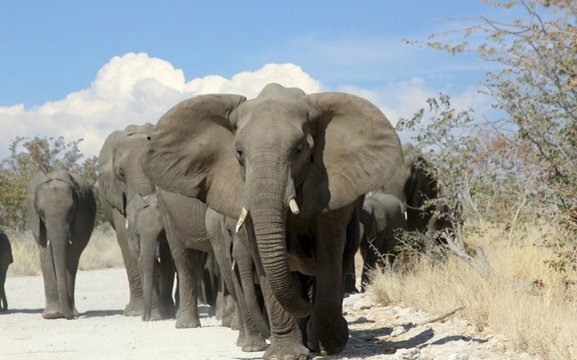 Etosha is one of the biggest Game Parks in the world. It is centrally located and filled with lots of water in good rainy years. 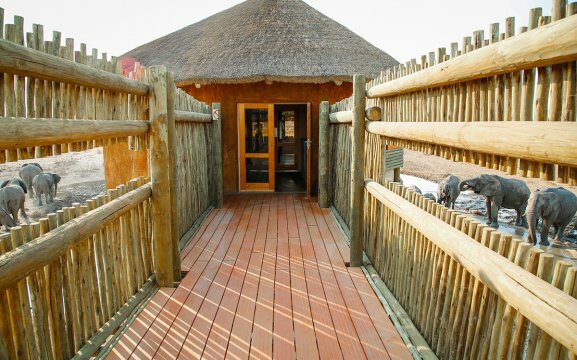 Our state of the art hide is a split-level game viewing hut with aluminium viewing windows and a man-made waterhole – perfect for game viewing. 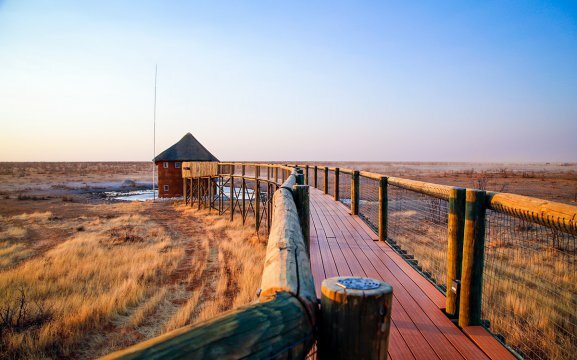 At Olifantsrus Camp guests will find elephants, black rhino, ostrich, springbok, Burchell’s zebra, gemsbok and blue wildebeest. Olifantsrus means “resting place for elephants”. 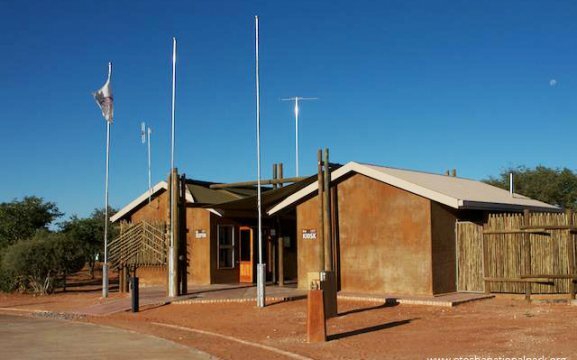 We have an information centre and kiosk selling beverages, light meals, snacks and drinks. We unfortunately have no card facilities, only cash will be accepted. 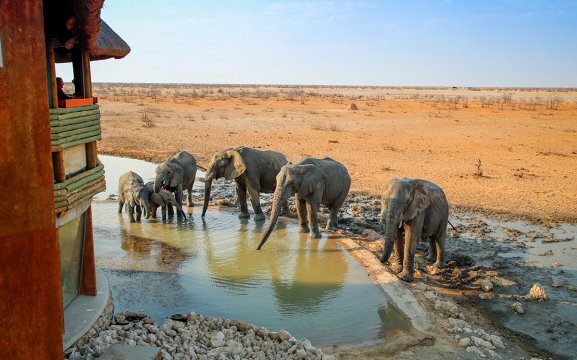 Our activities include game drives either early morning or late in the afternoon at many waterholes. 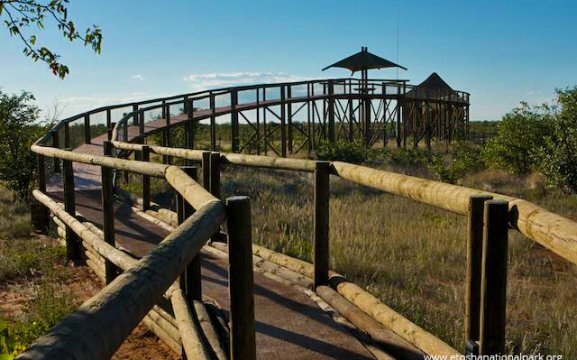 Tobieroen is known to have many animals such as antelopes, eagles, roan and sable, vultures and kori bustard. Ideal for photography. 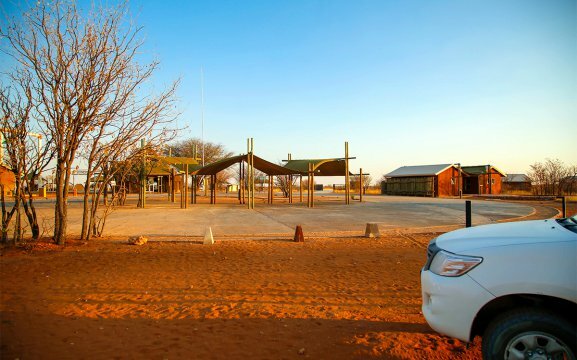 Guests can also drive themselves in our Etosha National Park.